The Nubia launch poster does not give information about the device and it is not clear whether the device is a smartphone or a wearable. Nubia may launch flexible smartphone wearable at MWC. Called Nubia Alpha, the device was first showcased at IFA 2018. ZTE’s sub-brand Nubia has teased a device that could sport a flexible display. The company shared a poster on Chinese social media platform Weibo suggesting that it will showcase the device at the upcoming Mobile World Congress in Barcelona. 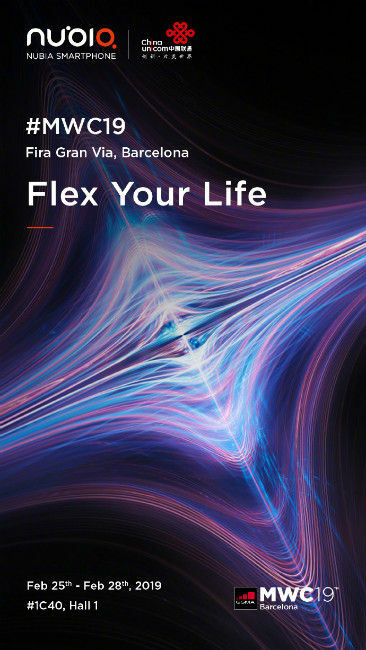 The poster says “Flex Your Life”, and given the trend of foldable phones, Nubia could also be looking to jump on that bandwagon by unveiling a flexible/foldable phone. The phone launch looks unlikely because there hasn’t been any previous reports in which Nubia has been associated with a foldable phone, however, the company may launch the wearable phone with a flexible display that it launched at IFA 2018. Called the ‘Nubia Alpha’, the prototype of the wearable was showcased at the IFA event inside a glass case. The device can be slapped on the wrist just like a smartwatch. Nubia hasn’t released any information such as the resolution of the display used in the device, the processor that powers the wearable, the memory or storage, or even the battery life. According to The Verge, the company intends to price the Nubia Alpha similar to the cost of a smartphone. 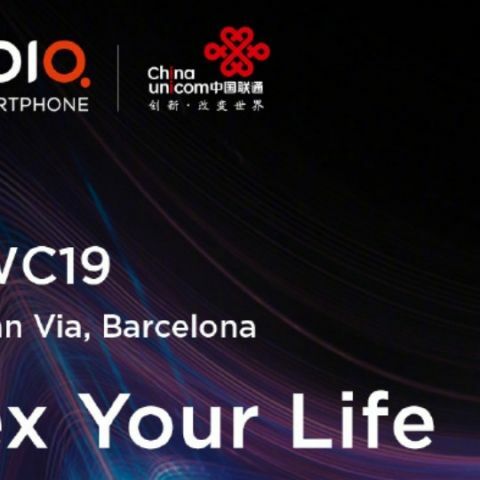 Nubia will be holding a space at the Hall 1 in Fira Gran Via, the venue of the MWC, and will be displaying the tech throughout the event. Talking about the foldable and flexible displays, Samsung has confirmed that it will launch the highly-anticipated ‘Galaxy F’ foldable smartphone along with the Galaxy S10 lineup on February 20 at the ‘Unpacked’ event in San Francisco. The South Korean company made the announcement on Twitter, saying, “The future of mobile will unfold on February 20, 2019.” Nubia’s Chinese counterpart Huawei has also teased the launch of a foldable smartphone at MWC. Smartphone brand Energizer is also expected to launch phones with foldable displays.